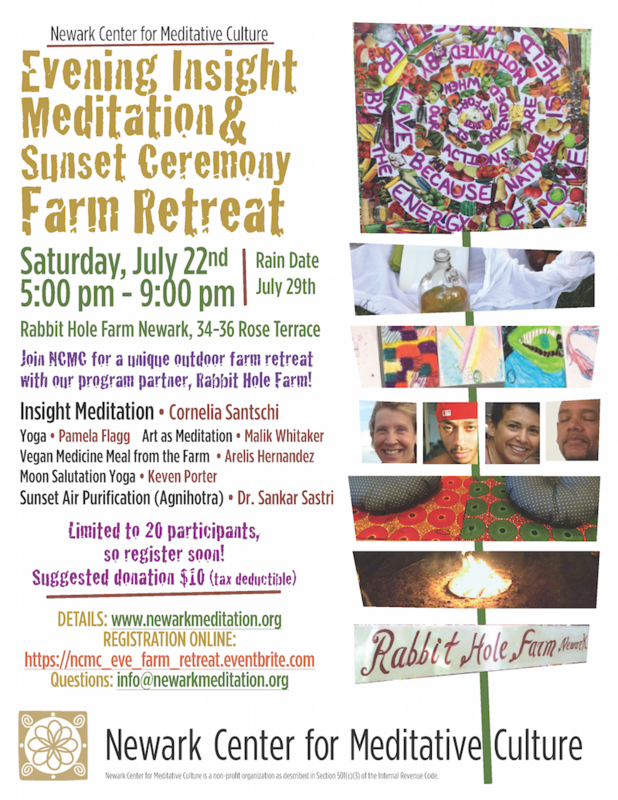 Register now on Eventbrite for NCMC’s unique outdoor farm retreat with program partner, Rabbit Hole Farm! There is limited participation of 20 for this so please do REGISTER only if you know you will attend. We don’t want to turn down anyone because of someone who doesn’t show. Thank you kindly. To ease the students into the environment, there will first be a thoughtful Garden Tour of this urban farm that is abundant with vegetables, herbs, and art. This will be followed by a light Yoga session with Pamela Flagg to get the students’ energy flowing and harmonized. There’s no need to don yoga clothes or be experienced for this — you can simply wear loose pants if you prefer. A Vegan Medicine Meal will then be offered by Rabbit Hole founder/farmer Arelís Hernandez using food straight from the garden. A medicine meal is a light balanced supper meant to be eaten simply for sustenance and with care and appreciation. It is important to eat lightly at a meditation retreat. 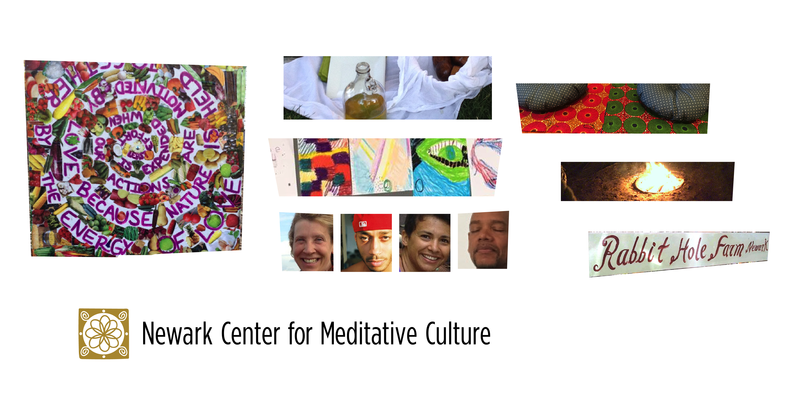 A plein air Art as Meditation session with artist Malik Whitaker will continue the process of opening our minds, heightening our sensitivity, and developing calm. This will get the students prepared for the Insight Meditation period led by meditation teacher Cornelia Santschi. You need not have meditation experience as it will be appropriate for beginners to advanced. Insight Meditation is based on the ancient meditation practice of Vipassana, yet it is a practical and vital contemporary method of mindfulness of breath/body, feelings, thoughts, and phenomena that with development can bring more mental clarity, stability, and happiness. An urban outdoor farm will make for an interesting setting to explore our minds. Then, Dr. Sankar Sastri of Lakshmi Cow Sanctuary will explain and perform a Sunset Air Purification called Agnihotra in Sanskrit. Agnihotra is a healing fire from the ancient science of Ayurveda that is done in combination with vibrational sounds and materials of specific qualities that is performed at sunrise or sunset. It is a process that is said to not only benefit the mind and body and a home, but to purify the outside atmosphere as well. The process is also used to nourish plant life by changing the cellular structure, thus enabling more nutrients to flow through fruits and vegetables. This is a very cool opportunity to learn a new-old technique! To close the program, yogi Keven Porter, who is also the director of the Farm, will lead a Moon Salutation Yoga session and Metta Meditation (lovingkindness). Donation-based, suggested $10 cash-at-door or by credit card on Eventbrite. This entry was posted in Natural Wonder Programs, Part-day Retreat, Yoga. Bookmark the permalink.